Moving isn’t as easy as some people may think. Actually, it can create unnecessary stress for many folks. 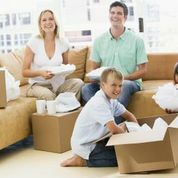 The key to alleviating the anxiety associated with moving is to hire professional movers to assist you. This can take a load off of your mind and help you focus on the other changes you’ll be facing when moving to Troy, MI. At All Around Moving & Storage, we put your needs first. We want this to be a pleasant experience for you, and we’ve been in business since 1984. If you’re moving to Troy, MI, it’s a good idea to know what to do once you arrive. This is the 11th largest state in Michigan with a population of 80,980. If you love living in a big city, you will enjoy your time in this location. Do you love seeing things from a long time ago? Are you a history buff on a mission? If so, you will certainly want to pay a visit to Troy Museum & Historic Village. This is certain to be time well spent if you love things from the past. If you love to keep up with the latest styles, you will want shop at Oakland Mall. This is one of the largest shopping facilities in this area, and you are certain to find the latest designer bag or a pair of tennis shoes for your teenager! We want to make your move to Troy, MI an easier one. We have the expertise and the staff to make it happen. All you have to do is to give us a call at 734 941-2280 and schedule your appointment today!